After a few false starts, it seems that colder weather will finally arrive for good this weekend. 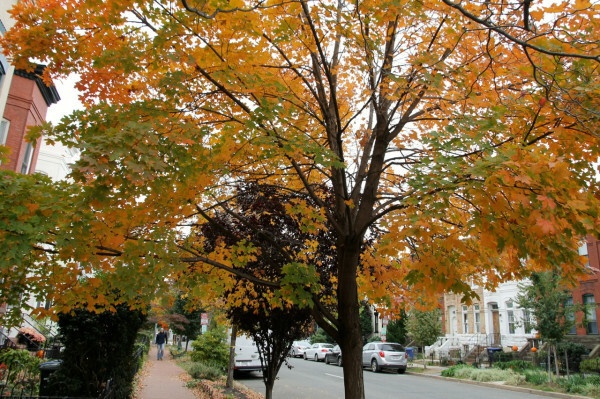 While temperatures may dip below freezing in the farthest suburbs, within the District, temperatures are expected to remain in the autumn-appropriate fifties. Friday and Saturday 6 – 9 p.m. 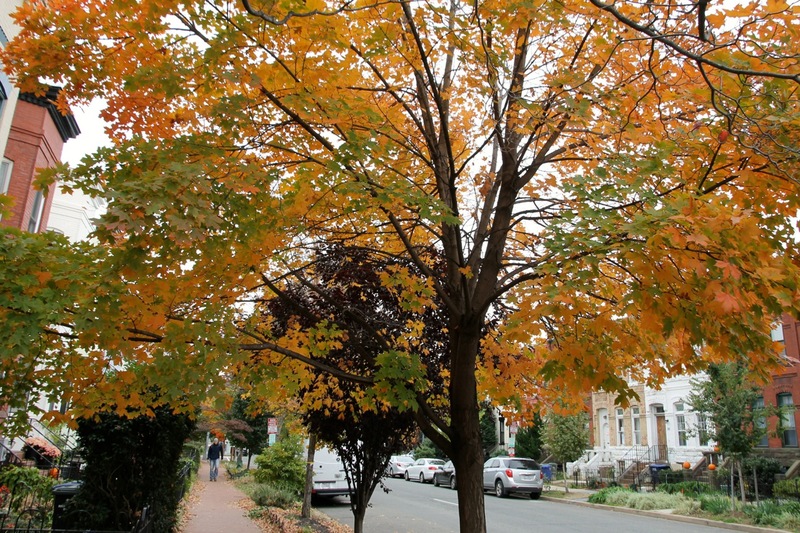 The Congressional Cemetery is replacing its Halloween gala with four nights of tours. The event is planned for the twilight hours of Friday and Saturday for the next two weeks, with a cash bar and music each night. Tickets are available online and cost $20 for adults and $10 for children who are 12 years old or younger. This community-wide yard sale of donated items will benefit the 13th Street Community Park & Garden. Residents can donate items for the sale throughout the week by contacting [email protected] and arranging a drop-off. Accepted items include small furniture, clothing, toys, books, electronics and baby items. Ten homeowners throughout Capitol Hill are opening their doors to showcase their home decor and renovation style. Tickets are $25 in advance and can be purchased online or in person at Schnieder’s, Hill’s Kitchen and Frager’s Hardware. Saturday 12 – 5 p.m. Retailer REI will host a community gear swap where residents can buy, sell, barter or trade their used outdoor accessories with fellow lovers of the outdoors. Anyone bringing gear to sell will get table space to do so. There will also be live music and drinks available at Wunder Garten. Tickets are available for $7 available online or at the door. The former battleship that has been on display at the Washington Navy Yard since 1984 will leave its post for good on Saturday after a ceremony at the Washington Navy Museum. The send-off is free and open to the public. Blue, Silver and Orange line trains will be single-tracking between Eastern Market and Stadium-Armory for repairs. 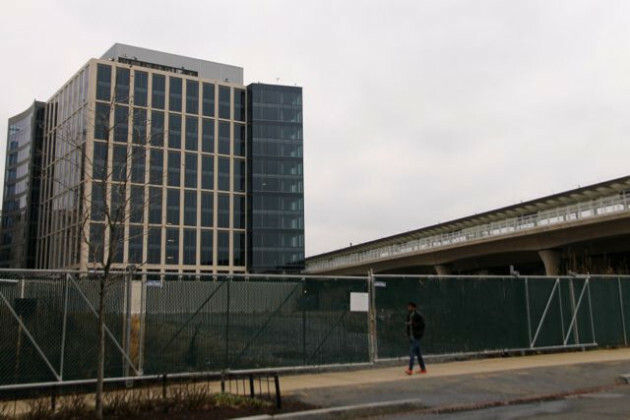 Locals who live near the H Street corridor are slated to have an opportunity to walk and talk with District police and government officials about safety in their neighborhood this week. 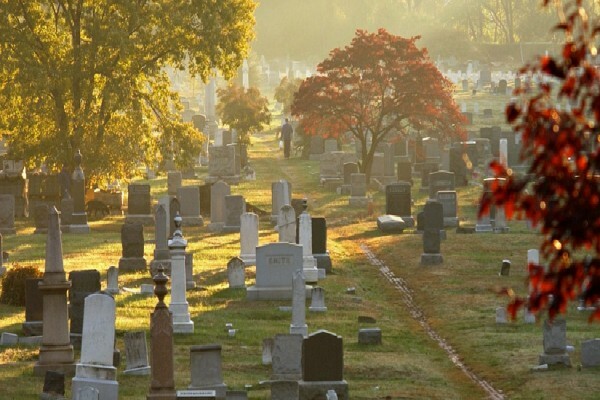 The Congressional Cemetery is replacing its Halloween gala with four nights of tours. The tours will tell the stories of some of the 65,000 “residents” there, as interpreted by cemetery staff. The event is planned for the twilight hours of Friday and Saturday for the next two weeks, with a cash bar and music each night. Tickets are available online and cost $20 for adults and $10 for children who are 12 years old or younger. Ten homeowners throughout Capitol Hill are opening their doors to showcase their home decor and renovation style. 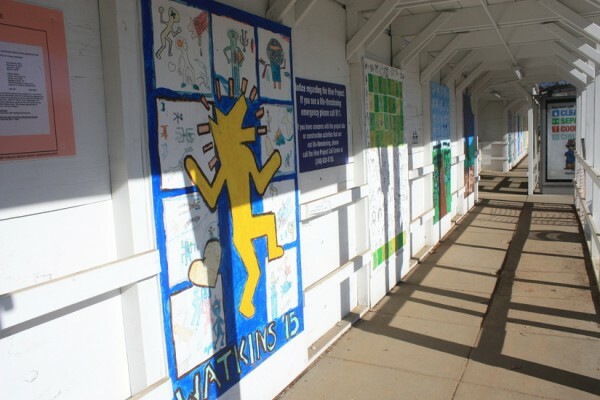 The tour is hosted by the Capitol Hill Cluster School as one of its primary yearly fundraisers. Guests can start at any of the homes or at the recently renovated Stuart-Hobson Midle School, which is part of the tour. Tickets are $25 in advance and can be purchased online or in person at Schnieder’s, Hill’s Kitchen and Frager’s Hardware. Retailer REI will host a community gear swap where residents can buy, sell, barter or trade their used outdoor accessories with fellow lovers of the outdoors. Anyone bringing gear to sell will get table space to do so. Proceeds from each ticket will go toward Living Classrooms, which provides educational opportunities to young people. In addition to the gear swap, visitors can listen to live music from Kingman Island Blues & Bluegrass Folk Festival bands performing at Wunder Garten. Tickets are available for $7 available online or at the door. (Updated at 3:15 p.m.) The days are getting shorter, and the opportunities to sip German brews in NoMa are getting fewer. Weather permitting, Wunder Garten at 150 M St. NE plans to stay open one more month with a tentative closing date of Nov. 8, said Biva Ranjeet, a co-owner of the beer garden. Until then, Wunder Garten intends to serve beer every afternoon and evening. Ranjeet said today the beer garden will reopen next year, but it is unclear whether it will return to the space in NoMa. The kid-friendly pop-up opened in late May, offering several varieties of German beers that cost $7 or $8 for 16 ounces. They also have other drinks and light snacks. For now, the beer garden will serve its expanded Oktoberfest menu until this Monday. Some of the limited-time items include brews from Illinois and Virginia. Whether Hurricane Joaquin makes landfall near the District or not, it’s going to be a very rainy weekend. District officials are warning about possible flooding and many of the weekend’s events have been postponed or moved indoors. The District is under a flash flood watch through Saturday. City officials distributed sandbags to several flood-prone neighborhoods, but did not expect flooding to be a significant issue on Capitol Hill, Navy Yard or Southwest. City officials said they will post updated information on the effects of the rain online. If Joaquin does hit the District, which meteorologists do not expect, there could be flooding along the river in Navy Yard and Southwest, according to a District government flooding map. Several days of free community events lead up to the pop-up’s ticketed, three-day Oktoberfest celebration on Friday, Saturday and Sunday. The weekend festivities will feature festival games, including a beer stein competition and a dirndl relay race. Tickets for the weekend events are $10 per day and must be purchased in advance online. 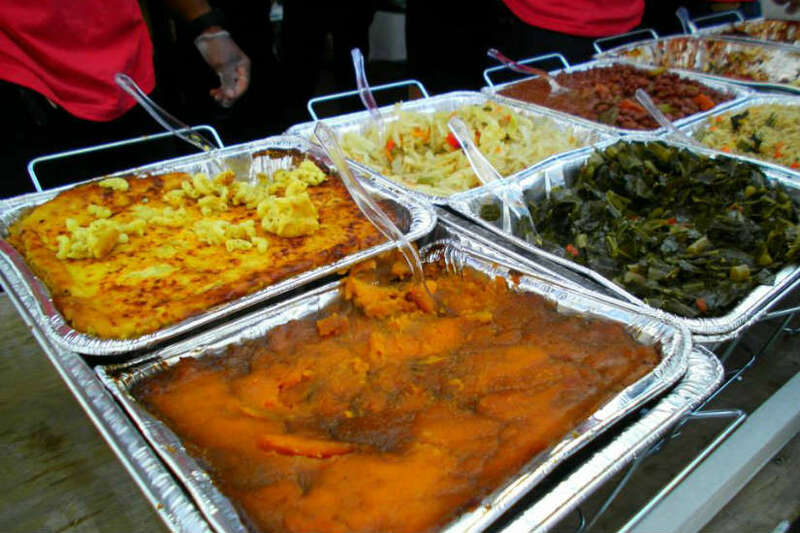 The free festival that was founded in 1997 is back and ready to educate D.C. residents about the benefits of a plant-based diet. The first 1,000 attendees will receive a tote bag with samples and coupons. The event features a beer garden, more than 130 vendors, live music and a children’s activity area. 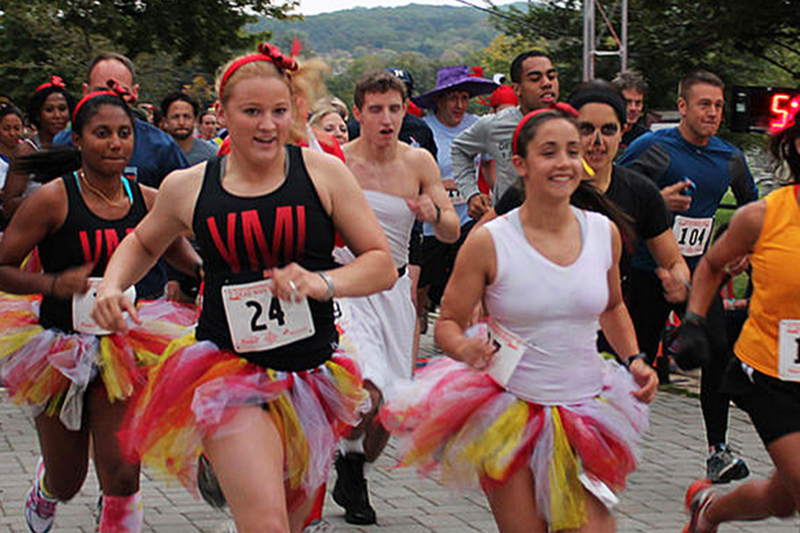 Costumes are an unofficial requirement for this 5K race, now in its fifth year. The course, which is along the Anacostia River, is flat and fast. If a 5K is too far, the cemetery also is having a family-friendly 2K fun run, which will start shortly after the main event. All proceeds go toward the preservation of the cemetery. The District’s largest haunted attraction is closed today due to weather, but promises to open Saturday night. The “Tough Dames in Satin Slips” returns to the center this weekend to kickoff the first of four screening of racy films from before 1934. New Yorker writer Margaret Talbot and film critic Nell Minow will host the program. The screening is expected to be standing room only. Online registration in advance is encouraged. Weekend track work continues this weekend for all lines except the Green Line. Metro riders going to the D.C. United game tonight should take Blue Line trains or buses because the Orange and Silver line trains will not stop at the Stadium-Armory station until 7:30 p.m.
Red Line trains will run every 20 minutes. Orange, Blue, Silver, and Yellow line trains will run every 24 minutes. There are no scheduled bus line interruptions in the Capitol Hill area. The bus stop at H St and 3rd St NE, which serves the D8, X1 and X2 buses and is currently closed, will reopen Sunday. On Sunday, the Union Station-Navy Yard and Potomac Avenue-Skyland routes will switch to winter service hours, meaning this is the last weekend that either route will run. 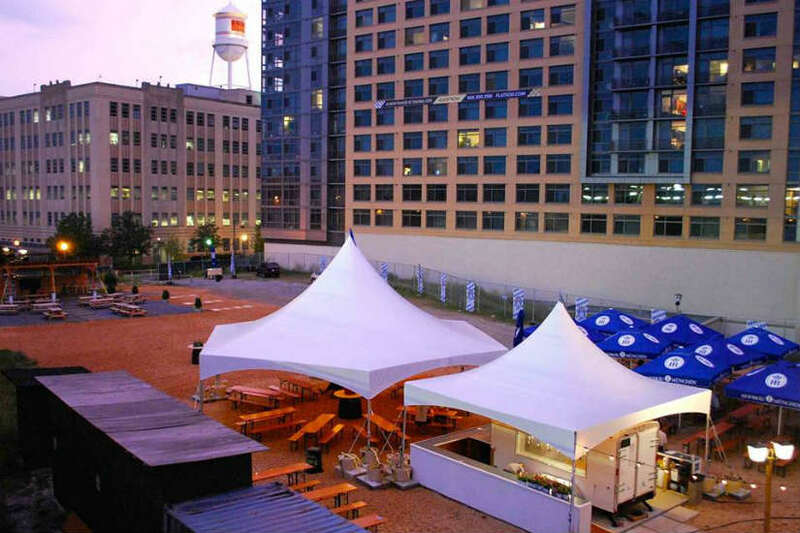 A French party is set to invade a German beer garden in NoMa this weekend. A Bastille Day celebration to commemorate the start of the French Revolution will take place at Wunder Garten (150 M St. NE), a sister venue of French restaurant L’Enfant Cafe in Adams Morgan. Held for the past 10 years at L’Enfant Cafe, the party at the beer garden will feature champagne, crepes, a “French Maid Relay Race” and “D.C.’s largest annual masquerade ball,” according to organizers of the event. Advance tickets to the celebration are required. Partygoers can purchase them online for $7. The festivities will run from 3 to 10 p.m.
A beer garden in NoMa is slated to start serving German brews and other drinks within days. Wunder Garten at 150 M St. NE likely will have a “soft opening” this week, co-owner Christopher Lynch said in an email yesterday. But it wasn’t immediately clear what day that opening will happen or when the beer garden officially will welcome customers. “We need a couple of days to make sure that everything is working well operationally,” Lynch said. 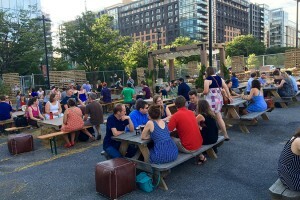 Located on a lot just west of the NoMa-Gallaudet U Station, Wunder Garten has eight German and Austrian beers, as well as local microbrews and wine, according to a menu posted at the beer garden. The beers include the Hofbräuhaus Original, Erdinger Weissbier and Stiegl Radler. Prices range from $7 to $8. As for food, the menu lists pretzels and chips. But the beer garden will have one or two local food trucks, too. Last night more than two dozen picnic benches and a dozen umbrellas were set up around a white tent that covered what appeared to be a bar. The 8,000-square-foot property also has portable restrooms with marble finishes and space intended for children to play and for REI sporting goods to hold classes on bike repair, camping and other outdoor activities, Lynch has said. REI is opening a store in nearby Uline Arena. 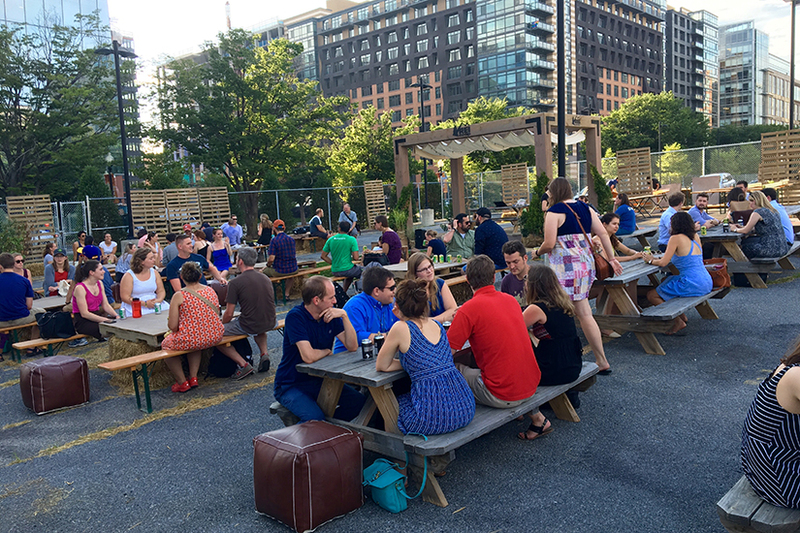 (Updated at 9:40 a.m. Friday) A kid-friendly beer garden in NoMa will open next month just west of the neighborhood’s Metro station, a community group announced today. Wunder Garten is looking to start pouring German beer and other brews in a lot at 150 M St. NE in mid-May, co-owner Christopher Lynch said. But he didn’t have a specific date for the opening. 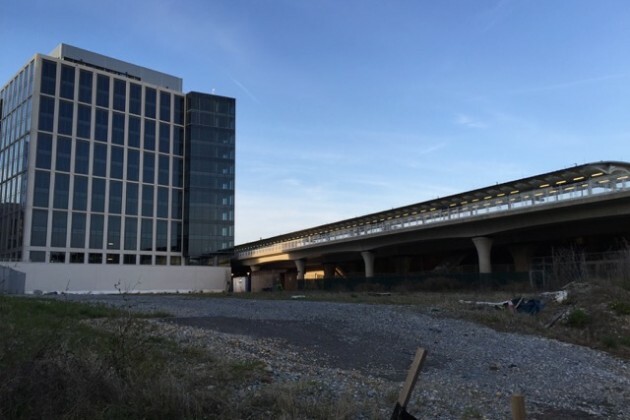 The 8,000-square-foot property will have “grand” portable restrooms with marble, and benches and tables for as many as 300 people, Lynch has said. The lot also will include space for children to play and for REI to hold classes on bike repair, camping and other outdoor activities. REI is opening a store in nearby Uline Arena. Wunder Garten will have 12 beers on tap, as well as cans of beer. The beer garden will feature German beer, with some brews from other European countries and local breweries. One or two local food trucks will be at Wunder Garten, too. 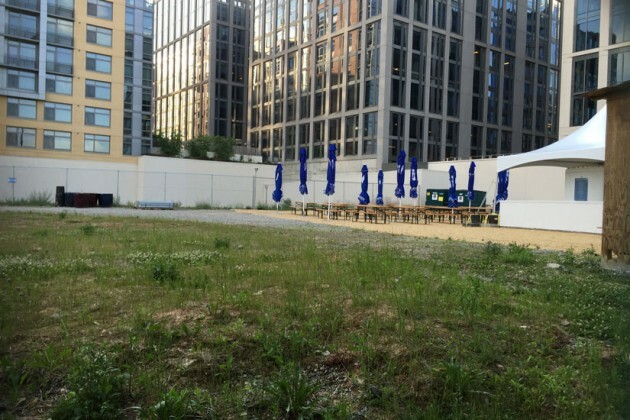 NoMa residents will be able to sip Bavarian brews near the neighborhood’s Metro station this month, if plans for Wunder Garten stay on track. 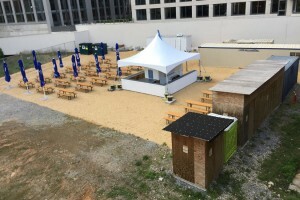 The kid-friendly beer garden with food trucks will open this month “barring any unknowns,” said L’Enfant Cafe co-owner Christopher Lynch, who is partnering with Allon Pultuskier and Biva Ranjeet to create the space. 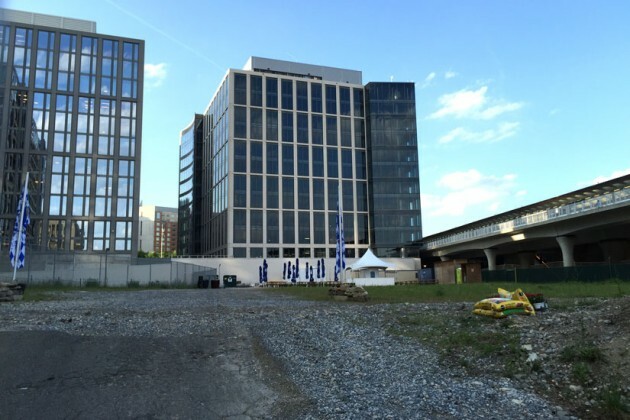 Wunder Garten would occupy 8,000 square feet of now-vacant space at 150 M St. NE, just west of the NoMa-Gallaudet University Metro station. The landscaped lot will include a tent, “grand” portable restrooms with marble, and benches and tables for as many as 300 people, Lynch said. Space also will be available for children to play and for REI to hold classes on bike repair, camping and other outdoor activities. REI is opening a store in nearby Uline Arena. Wunder Garten will feature 12 beers on tap, as well as cans of beer. The focus will be on German beer, with some brews from other European countries and local breweries. One or two local food trucks will be on hand as well. But the owners have yet to finalize the food and beer lineup. Wunder Garten would be open from early afternoon to 10 p.m. Monday through Friday and from 12 p.m. to 12 a.m. Saturday and Sunday. Noise is “concern No. 1, 2 and 3” from locals, said Drew Courtney, chairman of ANC 6C’s liquor license committee. The apartment building Flats 150 is just west of the beer garden lot. Pultuskier said noise shouldn’t be a problem.